By Tristan Kirn. Notes from NCF Church’s weekly staff meeting compiled by Sabine Mahabeer. The British empire had colonies on every continent and was forever-expanding its’ territory and wealth. One of these colonies happened to be in South Africa. In their pursuits to extend their influence, the English entertained a dream to build a rail road from Cape to Cairo. However, they met with some unforseen opposition. On the on side, there was the Transvaal Province, which was extremely rich in gold, and then there was the Zulu Kingdom. Not wanting to risk losing their gold resources, the British decided to overtake the Zulu Kingdom and posed an ultimatum: The Zulus were to give up their army or face an attack of the British Army. The Zulus did not bow down to this demand. Their army was strong and durable, able to cover great distances in short periods of time and excellent at handling their weapons. It was part of who they were and to give up their identity was unthinkable. The British were not prepared for what happened next: An English scout unknowingly happened upon a sight too overwhelming to comprehend: A massive army of almost 30 000 Zulus standing in total silence, awaiting the command of their leader, Cetshwayo. 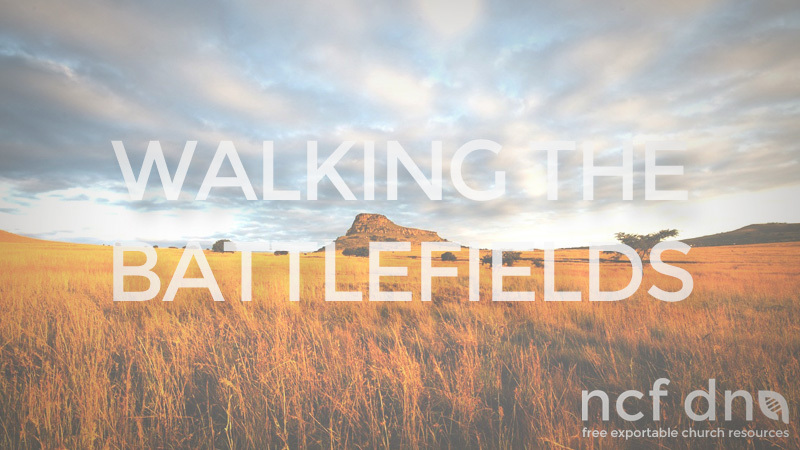 When that command came, the Zulus marched forward and overtook the British camp “like a black shadow”. The British army was defeated and utterly humiliated in a matter of minutes. What lessons can we depict from this short history lesson? The biggest error of the British army, during the battle of Isandlwana, was that Chelmsford split his force. In ministry there can’t be any “splitting of our forces” or any division. We need to be united as one. Ministry as a unit is better together . Even Jesus, who is our great commander-in-chief, did not work alone. He worked with a team and they ministered together. No one went out to do their own thing, they came together under one banner, looked to Jesus for direction and moved forward as one. All historians agree that the reason the British lost, was due to the fact that they utterly underestimated the Zulu army. This was because of their great pride and their arrogance. In James 4:6 we read, “God opposes the proud but shows favour to the humble”. It is good to have courage, but we cannot confuse it with pride. Courage is executing what God has called us to do through His strength. Pride is our own self-righteousness hindering us from seeking God. It is easy to get caught up in our own self-belief and to become over-confident in our own strengths and abilities. However, this causes us to miss the plot and, ultimately, to lose the battle. We need to be humble enough to realise that God is our strength and that we need Him to do ministry and to do it well.